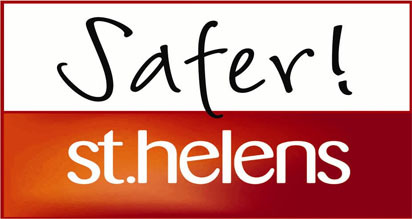 To mark Hate Crime Awareness week (8-15 October) St Helens Council’s Safer Communities team is encouraging residents to go online and pledge their support to the St Helens No Place for Hate Crime campaign. Throughout the week, the council will fly the No Place for Hate flag above the Town Hall to reinforce the aims and ideals of the campaign. Hate crime is defined as any offence against or incident that targets individuals, groups and communities because of who they are. It’s an act motivated by someone’s prejudice towards another person because of his or her age, disability, gender identity, race, religion or belief, or sexuality. There are many different types of hate crime – including physical assault, damage to property, arson, graffiti, threats, verbal abuse, bullying and obscene telephone calls. St Helens Council’s Cabinet Member for Community Safety, Councillor Lisa Preston, said: “Victims of hate crime are often reluctant to report incidents due to fear of repeat attacks. That’s why the council and its partners are urging everyone to take action whenever possible.